of Mrs. Ma’s CP therapy clinic in Jiaozuo. The 13 team members from Grace Evangelical Lutheran Church returned home to Menomonee Falls, Wisconsin after ten days in China serving at a Henan province orphanage and a private clinic for children with cerebral palsy. The team had time to have fun with the children at Luoning orphanage while painting several rooms. They then took their brushes to Mrs. Ma’s therapy clinic for children with CP, in order to brighten up the halls and therapy rooms with fun wall designs. 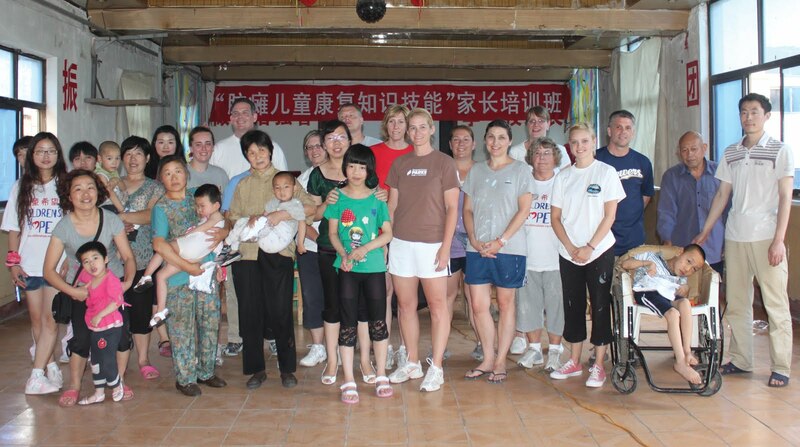 You can read more about Children's Hope Chinese orphan medical projects.